100% cotton heavyweight Guildan Ultra Cotton T-Shirt. 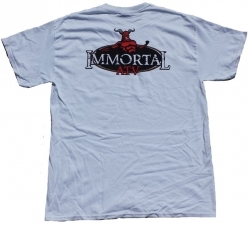 Immortal ATV logo screen printed on front and back. A red demon on an ATV shirt...nice. I love this shirt. 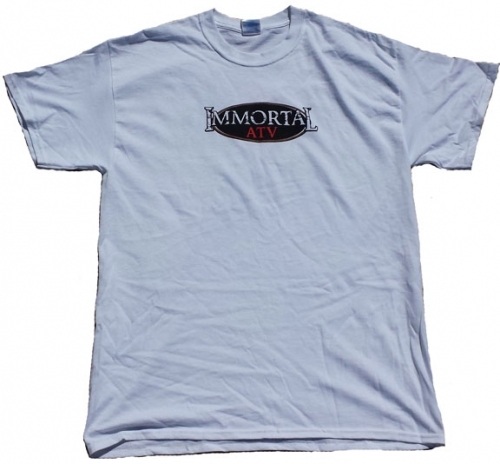 It's a little oversized and the Immortal logo is the best ATV logo out there.